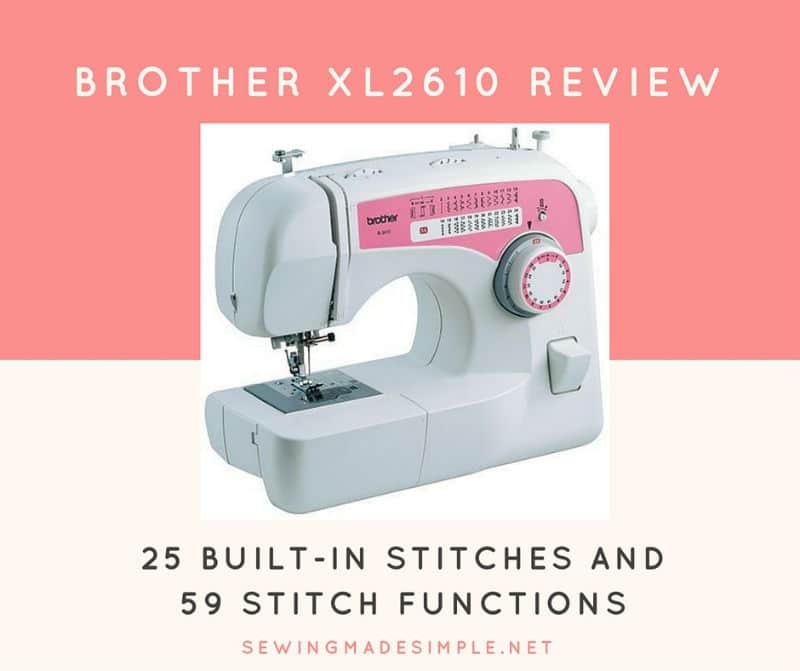 The Brother XL2610 Sewing Machine provides a step up from the basic sewing machine level, providing a user an advanced model to work with and perform complex tailoring like quilting at home. Unlike starter level models designed for beginners, the XL2610 expands the capabilities of sewing choices as well as resources available for a user to take advantage of while working. 1. The XL2610 Sewing Machine right from the start provides a user an upgraded workstation for tailoring. With a 59 stitch style options to choose from, the user will definitely enjoy a broadened capability to perform tailoring work. 25 stitch patterns are built-into the machine for quick application as well. 2. Stitch options are varied and far wider in choices than a basic machine would have. The XL2610 provides the ability to perform construction stitching, quilting, decorative title or patch stitching, expanding or stretch stitching, blind hem work, zipper work, buttonholing, and darning. It makes it far easier for a user to work on pants, sleeves, cuffs and other cylindrical-style stitching tasks as needed with advanced tailoring. Then, when not needed, the XL2610 free arm can be shifted back to a flat-bed approach for conventional sewing on larger projects or fabrics. Additionally, the free arm works as a compact storage container for all the machine’s accessories, including the needle set, bobbin, screwdriver and more. In terms of fabric capacity, the Brother XL2610 machine has no issue handling everything from regular cotton fabrics and tricot to canvas and hockey jerseys in between. Even nylons are not an obstacle for the XL2610. And with a speed set for good production, most users find the XL2610 even more enjoyable to use than their old sewing machine had been.The difference is quickly noticed, and many users comment that the speed on the machine is almost perfect – not too slow and not too fast. The physical footprint on the machine is no bulky monster either. It takes up a 6 inch by 15 inch footprint, so the XL2610 can easily be placed on a small table, a desk, a counter or a workbench without issue or banging into other appliances or similar in the same area. Further, the lightweight construction of the sewing machine makes its portability a huge functional benefit, especially for those tailors who need to work in different locations on a regular basis. This can be particularly advantageous for clothes designers and support positions who need to make clothes alterations while literally on the road or similar. The irony, however, is that given all of the above, one would think that the Brother XL2610 would be priced in an outrageous cost range. It isn’t. Instead, Brother, like it does with so many other of its products, placed the XL2610 in a very affordable price range that most households can reach without difficulty. With the automatic needle thread feed, setting up a needle for work is no longer a frustrating hassle. Instead the thread is routed through quickly, with a user spending more time working than fussing with the mechanics of a machine. 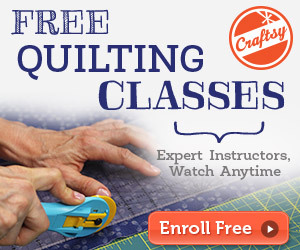 Additionally, the included and integrated thread-cutting feature allows cessation of a thread to be easy and quick. When it comes to installing buttonholes, the 4-step buttonhole feature allows efficient and easy work of buttonholing needs, regardless of the fabric type. Additionally, a drop-in bobbin feature includes practical clarity so the remaining thread is visual and the bobbin works seamlessly. Because the XL2610 also includes Brother’s notable thread tensioner feature, worries about thread slack or running too tight fall away as well. Instead, the XL2610 thread tension can be adjusted with a movement of a dial, going from looser to tighter easily. This avoids errant loops and tight stitches that are prone to premature separation or breaking. While Brother sewing machines tend to be fairly intuitive, there will always be issues and functions that require instructions, depending on the user. Brother anticipates this issue and makes sure resources are available and easy to find when needed. First off, some of the instructions of operation are literally right on the machine itself, etched into the body or printed on and making it clear how to manage the bobbin and needle threading. However, sometimes folks still need additional help. For these instances, the XL2610 comes with additional and multiple user support formats, including a bilingual user manual for Spanish and English users as well as online manufacturer support through the Internet. Brother even has phone-based support for those who need verbal help working with the machines or finding resources locally. Finally, all of the XL2610 designed parts and functions are protected under a 25-year limited warranty, so a sewing user doesn’t have to worry about being stuck with a defective machine assembly. 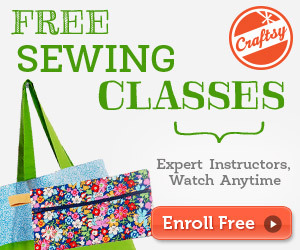 The Brother XL2610 is a professional upgrade from beginner sewing machines by the same company. Where first level machines provide great tools for learning how to work with automated sewing tools, the XL2610 takes the experienced and depth much farther. It also provides a wide array of choices and applications, so a budding tailor can produce highly complex sewing projects without frustration or having to jump from machine to machine for the right threading, stitching and tools. Given all that is included with the XL2610, it shouldn’t be surprising that folks will want to graduate to this Brother upgrade machine as soon as possible. In fact, people are going to have tough time finding a bad opinion of the Brother XL2610 Sewing Machine package when considering a new or replacement sewing machine to buy. The XL2610 is designed correctly with the home user in mind, but it’s advanced enough to please a tailor who is moving up from beginner stage to a budding professional seamstress. There are some comparable machines made by competitors, but finding this package at its price level is hard to beat. Once again, for many users, Brother hit the mark with the XL2610.